Of course you would be needing an account on the Microsoft Azure. Once in the preview portal click on the Azure Gallery at the bottom of the page shown in this partial screenshot. Another set of related list of services gets displayed. 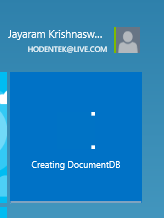 DocumentDB is displayed with some summrized information. 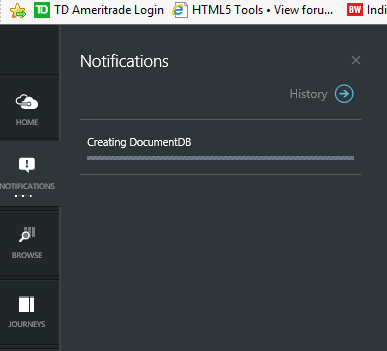 You can also create a DocumentDB service. 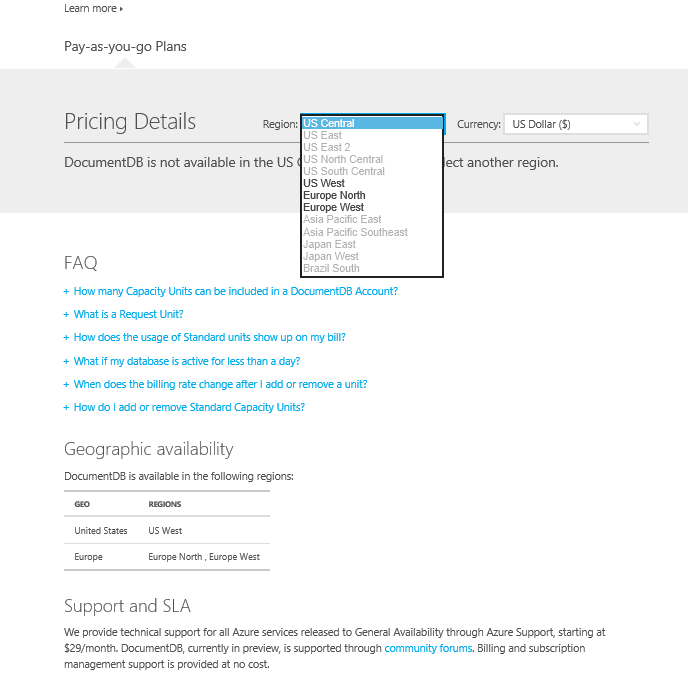 Here is the pricing information for DocumentDB presently only avilable in US West and European datacenters. Click create after filling up details. Th program starts creating a service in the preview portal as shown. Read forth coming posts here and here.